Buy 95% High Shell Rate Environmental Protection Peanut Shelling Machine 220v - Shandong Microwave Machinery Co.,Ltd. 95% High Shell Rate Environmental Protection Peanut Shelling Machine 220v is used to remove the shell from the peanut. For the type, Shandong Microwave Machinery Co.,Ltd. 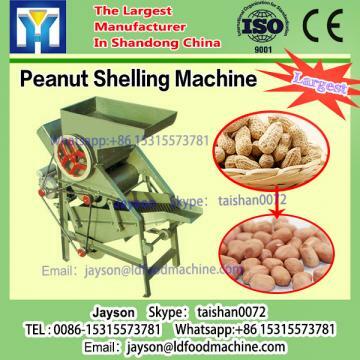 have the simple type and peanut shelling machine type. 95% high shell rate environmental protection peanut shelling machine 220v is apply to peel the shell of peanut, and automatically separate the peanut from shells. 1)95% High Shell Rate Environmental Protection Peanut Shelling Machine 220v is Easy operated, widely used. 2)95% High Shell Rate Environmental Protection Peanut Shelling Machine 220v is High capacity, low broke rate. 3)95% High Shell Rate Environmental Protection Peanut Shelling Machine 220v is With wheels, easy to move. Wanda brand peanut shellers have the following advantages:small power,easy operation,high yield and high shell rate. Shandong Microwave Machinery Co.,Ltd.is a peanut shelling machine factory specializing in the production of 95% High Shell Rate Environmental Protection Peanut Shelling Machine 220v, scientific research,manufacturing,installation, commissioning.Shandong Microwave Machinery Co.,Ltd.can provide peanut shelling machinecustomers with design and services of 1-2000 tons 95% High Shell Rate Environmental Protection Peanut Shelling Machine 220v. Shandong Microwave Machinery Co.,Ltd. have finished hundreds of successful projects peanut shelling machineover the years: peanut oil, soybean oil, rapeseed oil, cottonseed oil, sunflower oil, sesame oil, animal oil,grape seed oil, acer truncatum oil, peony seed oil, walnut oil, hemp seed oil, pine oil, tea seed oil, papaya oil, milk thistle seed, and other special type peanut shelling machineoil. Shandong Microwave Machinery Co.,Ltd. have independent import and export department. Shandong Microwave Machinery Co.,Ltd. peanut shelling machineequipment has been successfully exported to more than ten countries: Russia, Australia, India, Afghanistan, Cameroon,and so on.